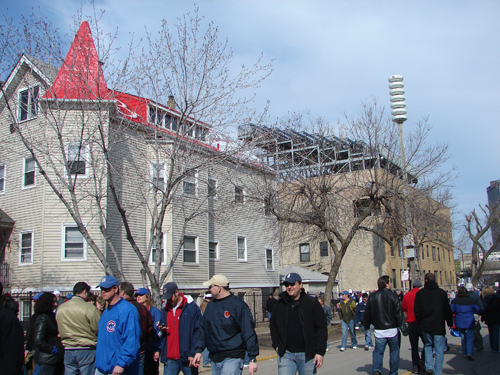 These pictures start on the far west end of Waveland and move east toward Sheffield. 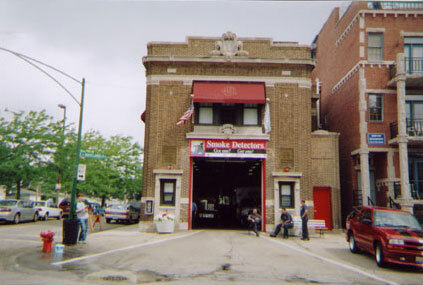 A Picture of the Wrigleyville Firestation, Rooftop by the Firehouse, Beyond the Ivy 1048 Waveland, and BrixenIvy. 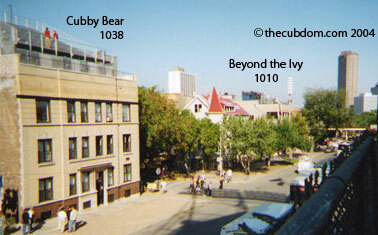 A picture of Beyond the Ivy 1038 Waveland and the Cubby Bear at 1032 Waveland. 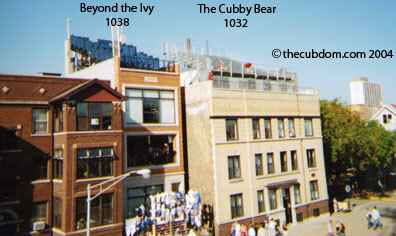 Another picture of The Cubby Bear at 1032 Waveland (the picture is mislabeled), and Beyond the Ivy 1010 Waveland. 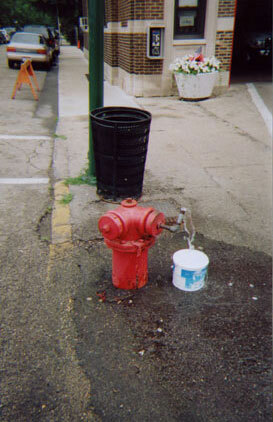 Probably the most famous fire hydrant in the world. Thanks Harry and Arnie!